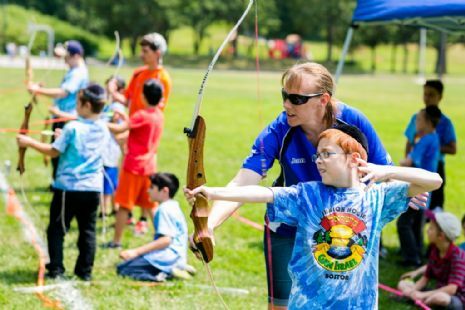 Academies provide kids with a full-week immersion in a specific sport, hobby, or activity. Kids in the Boys Division & Girls Division will meet with their academy instructor four times during the week of that particular academy. Academies vary by summer. For scheduling and specific weeks of each academy, please check our updated program calendar. During Robotics week, kids will learn the skills required to design and program robotic figures that will be able to maneuver across a flat surface and change direction upon voice commands. A highly engaging and educational academy, kids will develop planning skills, fine motor skills, and spatial relations as they embark on this exciting mission! 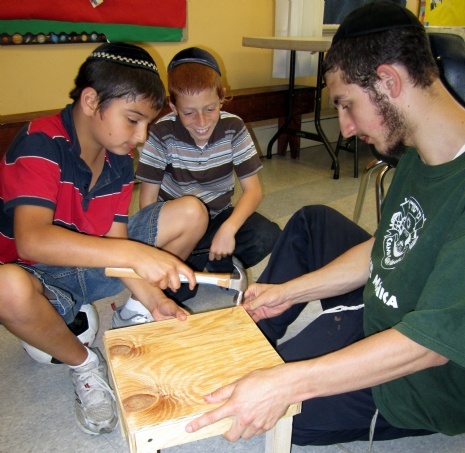 No summer program is complete without a full experience woodworking class! In this academy, kids will sand, drill, glue, and nail a wooden project. A very productive and satisfying project, kids will walk away with their very own wooden project and memories to last a lifetime! Ever been to the circus? Well, this summer kids will learn how to perform in a circus! 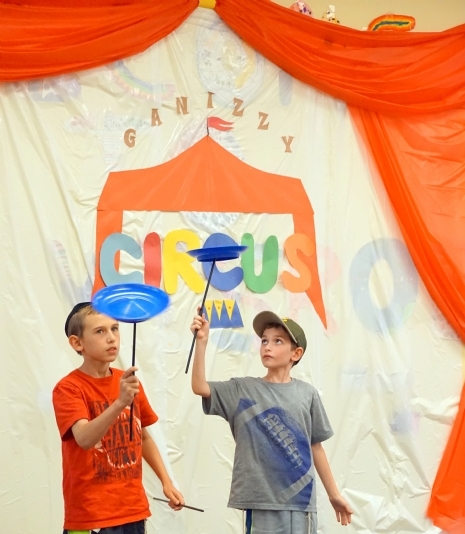 From shoulder rolls to cartwheels and diabolo sticks to acro-balance, kids will receive the true circus experience! And if you’ve never been to the circus, then this summer will be your first time as our kids perform choreographed tumbles and balances at our family BBQ. See you there! During our summer program, kids will step on to the mat with US Open Tae Kwon Do champion Amy Maillet to develop their TKD skills. 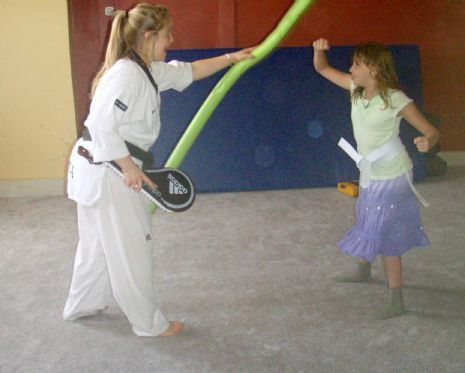 Working on basic defense techniques and fitness movements, kids will be able to earn a white belt by the end of the week starting their karate career! A sport that many children have never heard of but will be talking about for years to come is fencing! We are very proud to be hosting a 3 time Ukrainian National Fencing Champion and bronze medalist, Alex Kushkov, to conduct an introductory course on fencing for our kids during the fencing academy. Kids will wear full fencing gear and wield fencing sabers (no body contact) in face-off position. 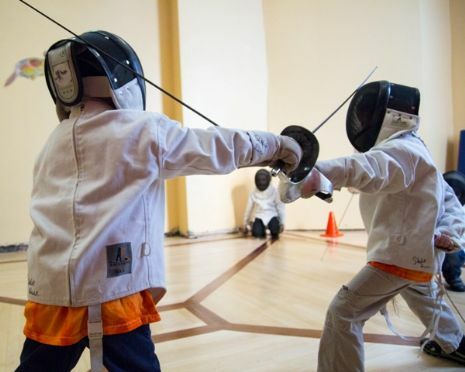 Fencing develops reflexes, sportsmanship, speed, and agility while giving kids a thrilling experience never to be forgotten! Ready…Set….LIFTOFF!! Don’t let your children miss out on this adventurous academy of the design, construction, and launching of real engine powered rockets! Kids will begin the week exploring the science and aerodynamics of rockets which will help them to efficiently design their very own rocket. 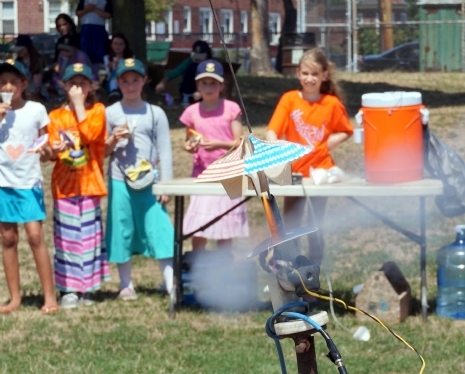 Of course, this academy would not be complete without a grand rocket launch finale on Friday in Rogers Park to witness their rockets climb hundreds of feet into the sky! As the summer sadly nears its end, kids will experience the importance of recording memories collected over the summer. During this week, kids will take on the responsibility of compiling the final weekly journal to be kept and cherished for years to come. 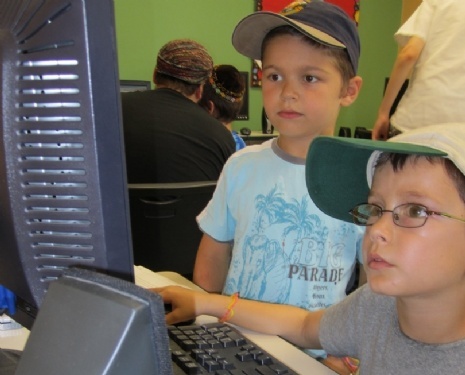 Kids will be developing skills in the design of the journal, interviewing and writing articles, and photographing throughout the week to etch the memories of Gan Israel Shaloh House in their hearts and annals of history! Tired of cooking dinner every night? No worries, after this week your child will happily show off skills learned in culinary arts academy! 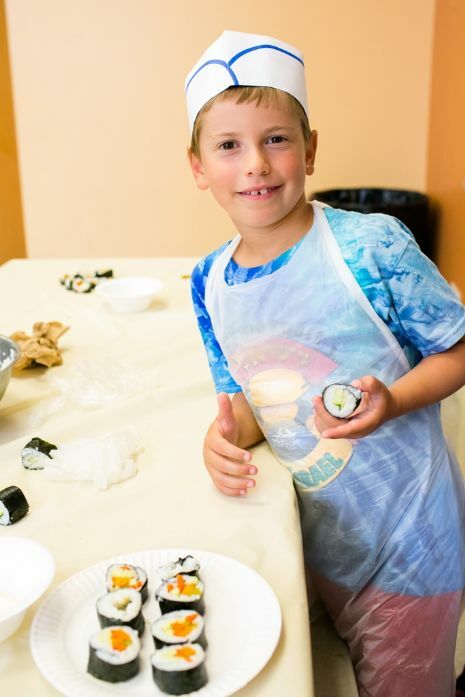 Under the guidance of highly skilled professional caterers, kids will learn to bake from exquisite deserts to spectacular fruit design platters while exploring the art and creativity (and flavor!) of cooking. Of course, the success of this academy will really be determined by our parent tasters during our Preschool/Girls Division Family BBQ. Learn to hula hoop like never before! Have you ever hula hooped around your neck? Your knee? Learn how in this exhilarating academy! 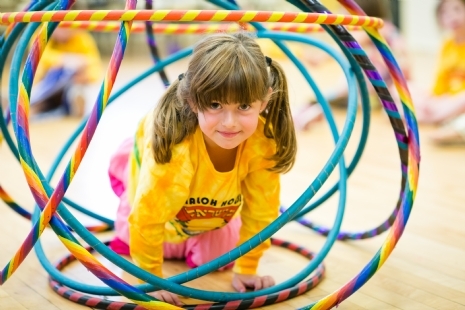 Kids will also prepare for a fantastic choreographed hula hoop presentation to be performed at the final end-of-summer BBQ on Thursday evening! See you there! 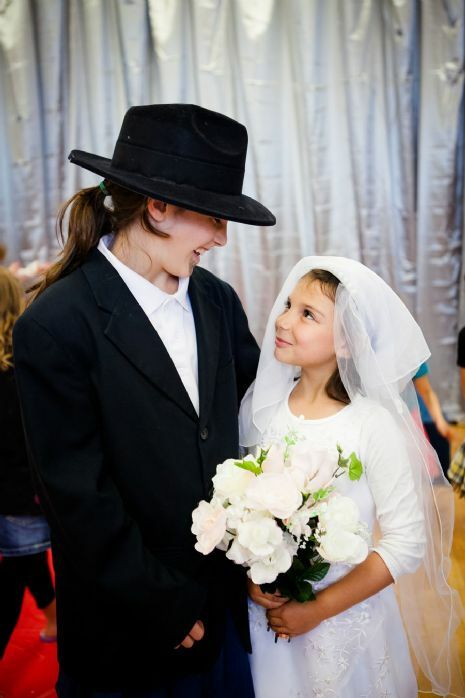 Join professional drama instructor Marion Fine from the UK, as kids delve into the world of the imaginary and pretend to be characters of the past in a staged play. Replete with costumes and masked voices, kids will perform their play at the Mom and Girls Night Out on Thursday evening. 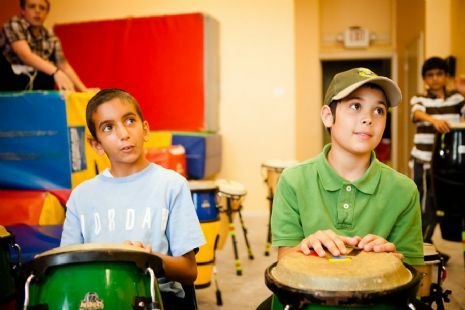 This brand new academy, taught by professional Israeli dance instructor, Stav Meishar, will engage kids in a riveting and exciting adventure of Jewish culture through dance and song. Kids will learn several Israeli dances and perform a choreographed performance before parents at the Girls and Moms Night Out. Don't miss out this great experience! There is no time like summer to explore and adventure in the great outdoors! 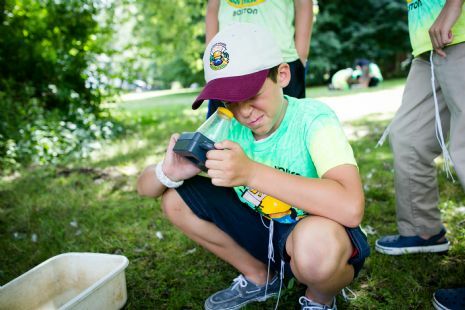 Boys Division kids will join hiking and camping guru Gary Kanner as they learn the survival tips needed to tough it out in the outdoors. This academy wouldn’t be complete without a rustic overnight camping trip (two oldest bunks) during which kids will put their skills to the test! 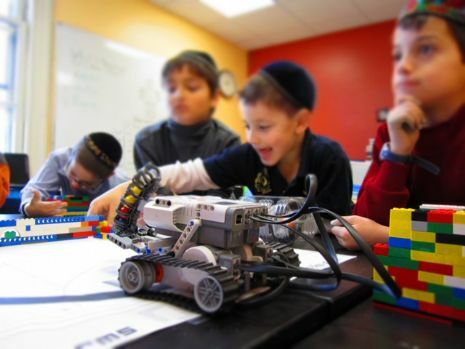 New to Gan Izzy Shaloh House, this is an academy not to miss!